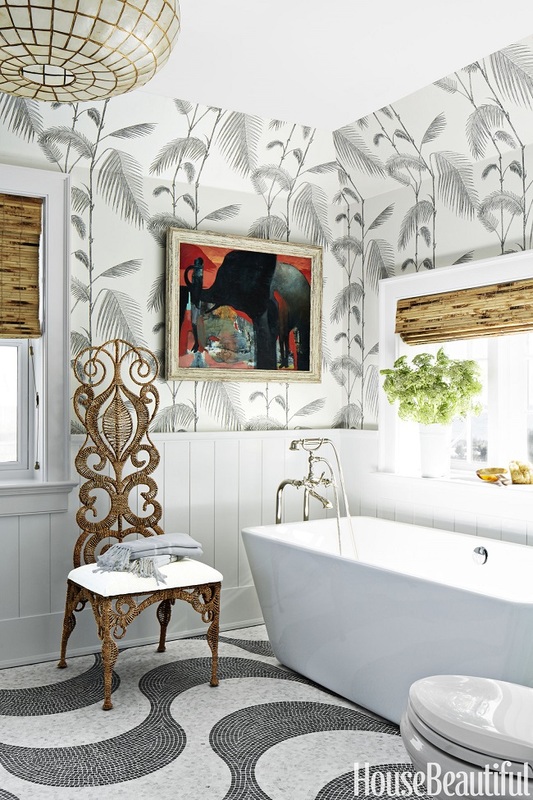 Mix and Chic: Anthropologie's founder boho chic home! Many of us adore the unique and charming home offerings from Anthropologie but have you wondered how the founder really lives? Wonder no more! 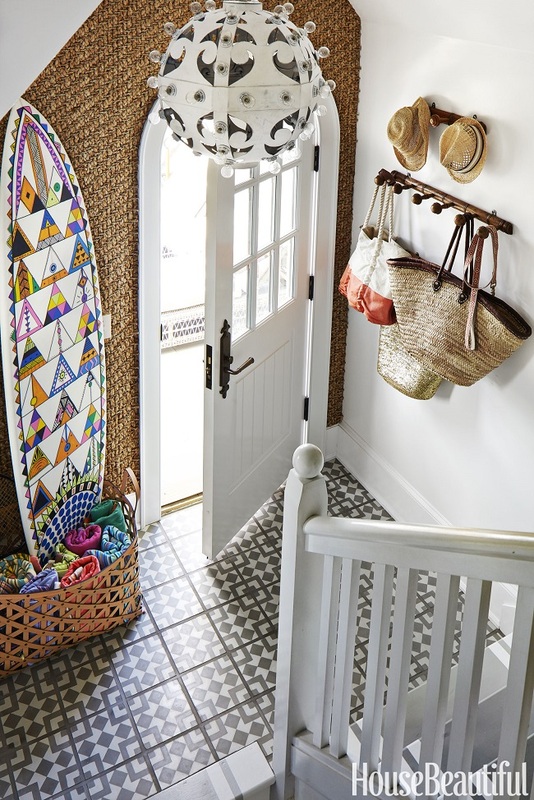 Check out this Tudor beach house in New Jersey, designed by Colleen Bashaw for Scott Belair, the cofounder of Urban Outfitters and Anthropologie now! This home absolutely exudes the quirky, boho chic that Anthropologie is known for, don't you think? 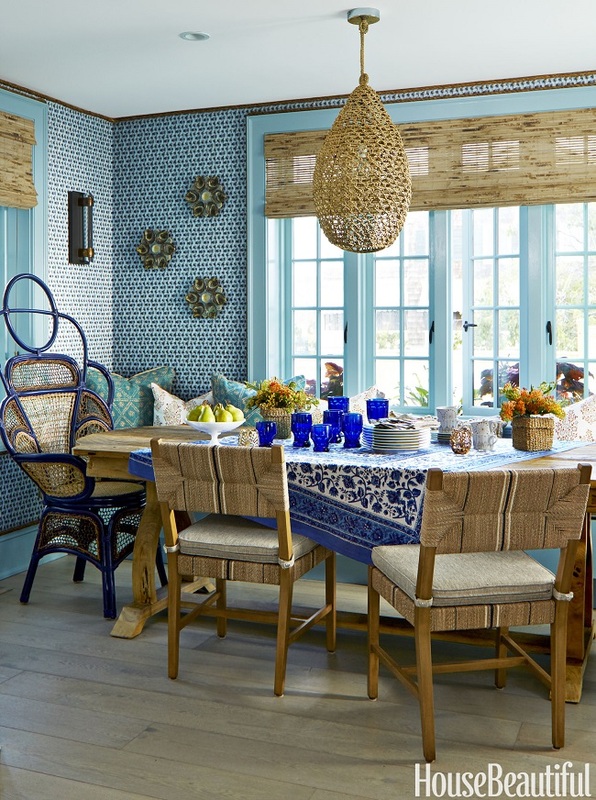 Every room is an explosion of colors, textures and bold patterns, which I find particularly refreshing and inspiring! 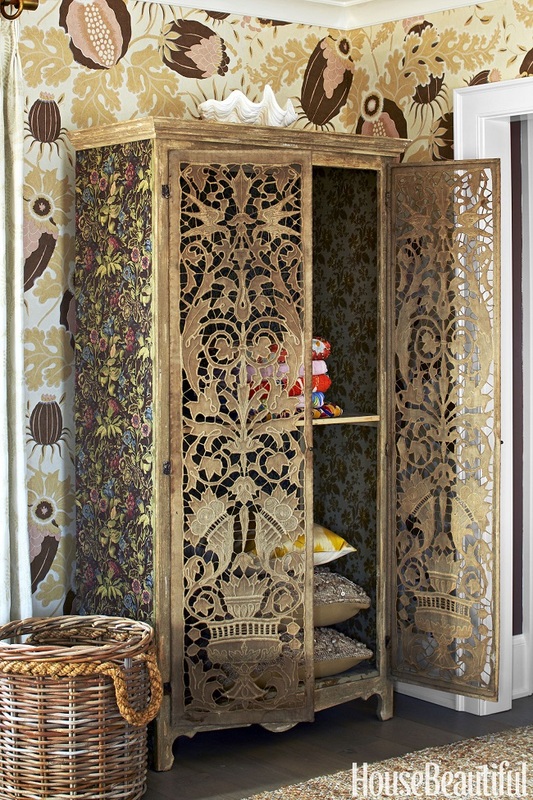 Did you notice the interesting sisal rug installment on the entryway wall and the fabulous vintage lace-fronted armoire? Those are some of my favorite moments from this tour. 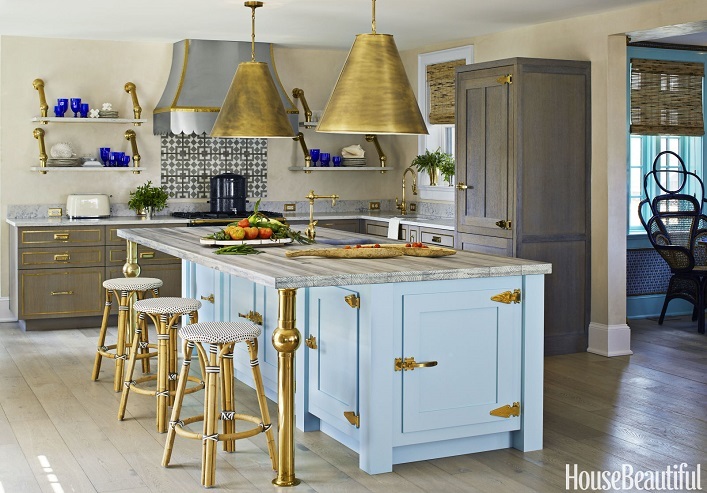 I am also drawn to the relaxed, eclectic living room and the effortlessly stylish kitchen. 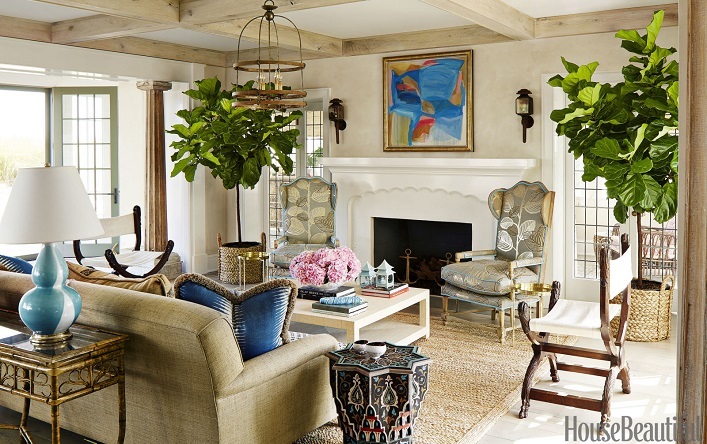 Such an awesome, beautifully layered, bohemian chic abode, what's not to love? Your thoughts? That rose wallpaper is fantastic!!! !